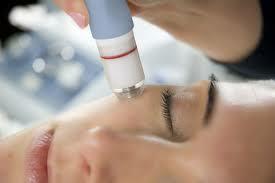 Home » Blog » Beauty Tips » What is Microdermabrasion? Microdermabrasion used a diamond tip and suction and a combination of skincare products to gently exfoliate the top layers of your skin. Dead skin cell’s are removed, new collagen and elastin are produced revealing a fresh new layer of bright skin! This truly depends on your skin type and your skin goals. Microdermabrasion can be done as frequently as weekly or up to every 8 weeks depending on your skin’s tolerance and desired effects. If you are concerned about a skin condition (ie: acne, acne scarring, pigmentation etc) we would recommend weekly treatments for at least 4-6 weeks for optimal results. By keeping your treatments regular and consistent, you’ll always have great looking skin! Our experienced Skin Therapists at Fruition Skin Therapy are here to create a customized microdermabrasion treatment plan to match your skin type and your skin care goals. Schedule a Microdermabrasion consultation with us today!